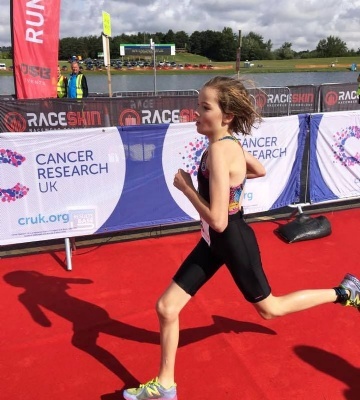 Amelia Chrispin was in a celebratory mood as she discovered she had been selected for a place in the Full Yorkshire Triathlon Academy. Last weekend, Year 9 pupil Amelia Chrispin attended the joint Yorkshire Regional Academy and Talent Squad trials. The Regional Academy is the first purely performance focused and selective step in the foundations of the triathlon talent pathway in England and GB. 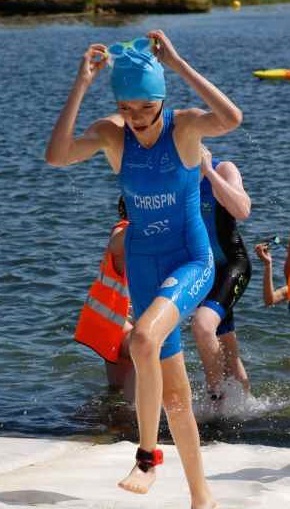 It has been historically for athletes 14-18 years old who meet the required standards. The Talent Squad supports the process by providing opportunities for athletes aged between 13-17 who are considered too young for the Full Academy or just outside the required standards. Over 50 eager athletes turned up on the day, hoping to gain places in either the Academy or Talent Squad, The day was split into three points graded tests all based on individual effort - 1500m track run, 200m pool swim and 5km road bike. 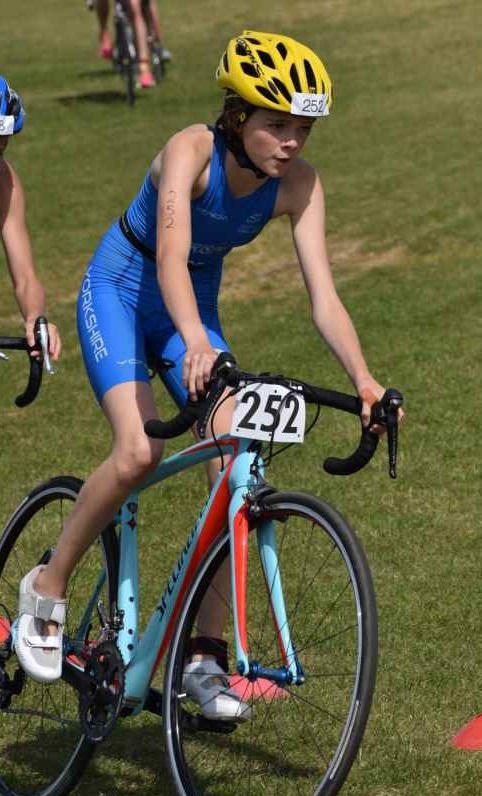 She will be under the guidance of the Head Coach and his team who work with the national talent pathway staff and regional committee to deliver a programme of support to the best young triathletes in the region. The Academy has a great history of producing elite triathletes including among them, the Brownlee brothers.